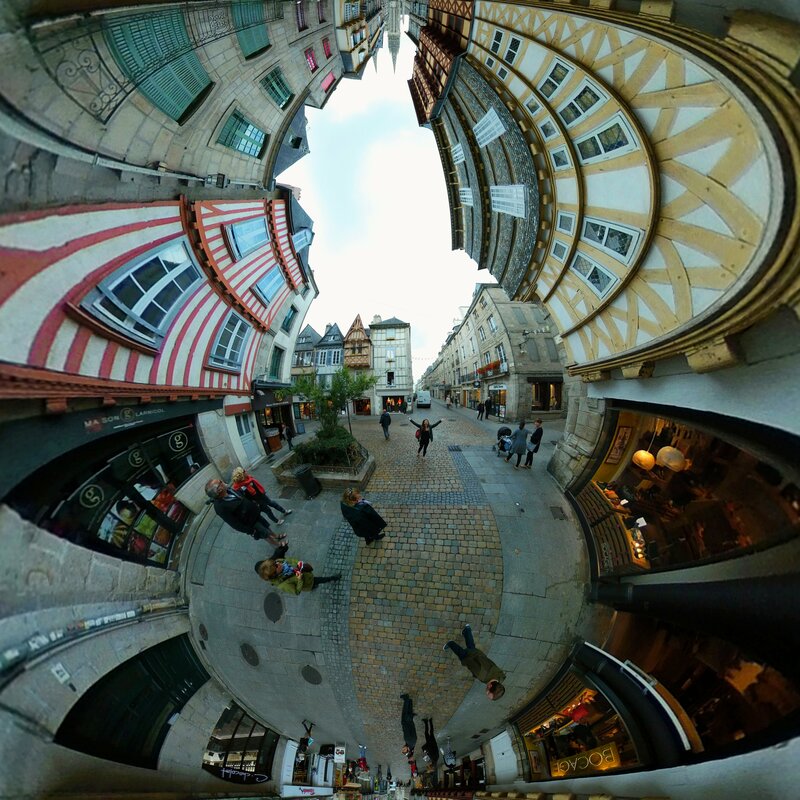 The town feels more like a village, with its slanted half-timbered houses, narrow cobbled streets, footbridges spanning the rivers and the rustic atmosphere. Which all give it a distinctive Breton Celtic character. It was a shame I only had a few hours free time here for lunch. 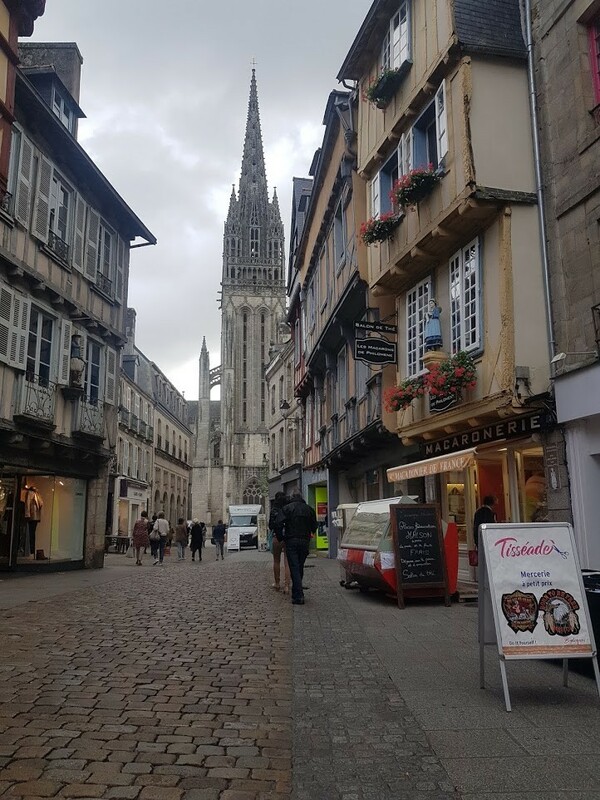 Quimper has embraced the Breton culture which makes it an interesting place to hang out and I noticed a few bars around that should make for a good night life. The food menus I read walking around all looked very good, but the food that you will find in greatest abundance is crepes, sweet and savory, almost every street will have a creperie on it. That’s no real surprise though as crepes are the regional specialty of the area, so you really can’t go wrong. 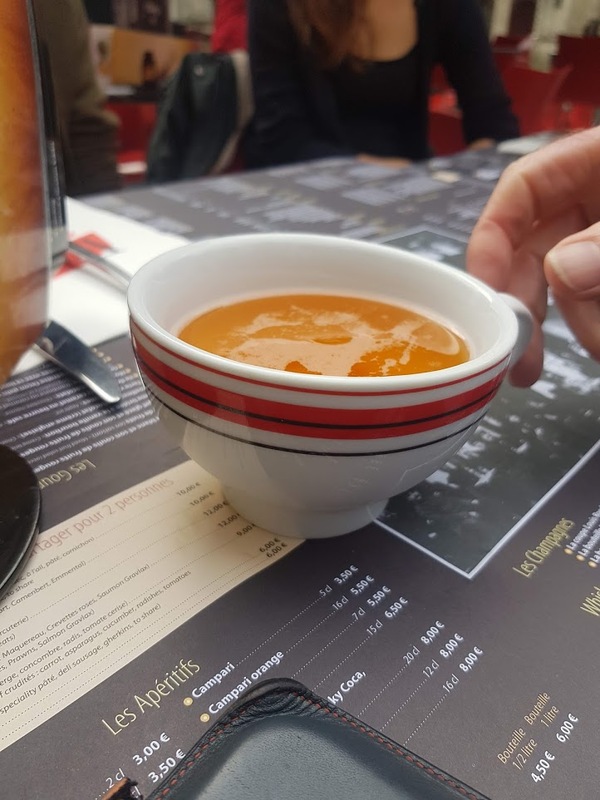 If you like your cider you may be surprised, the traditional Brittany way of drinking cider is in a teacup. or watermarked​ at half price & tiny planets here. 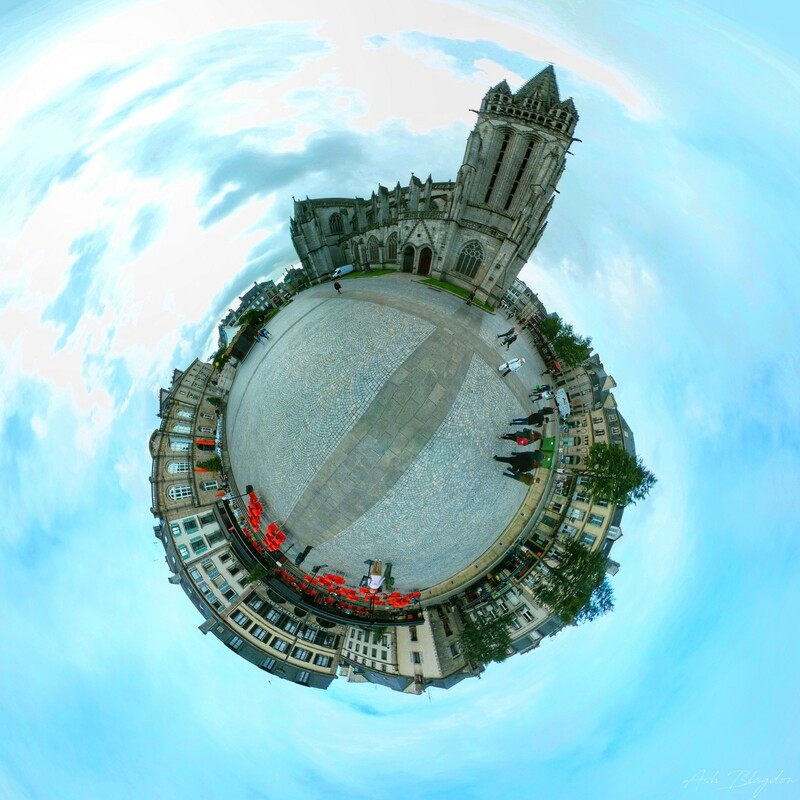 Quimper (pronounced kam-pair) which refers to the junction of two rivers, is generally regarded as the cultural heart of Brittany. 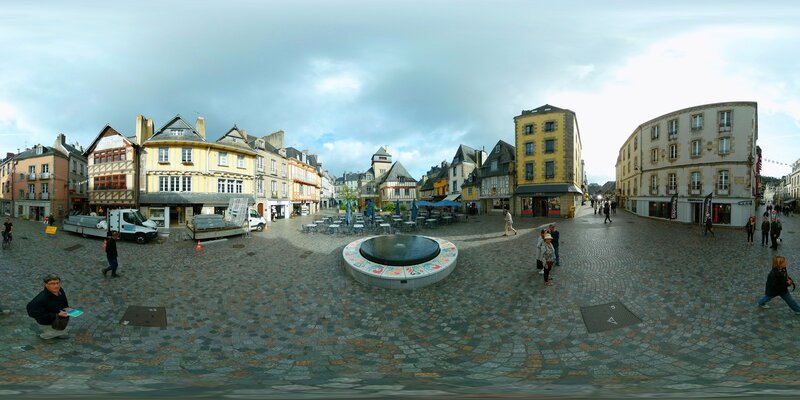 Once the ancient capital of the countship Cornouaille, Brittany’s most traditional region, it is associated with the legendary (5th century) king Gradlon, who came from Cornwall in Britain. 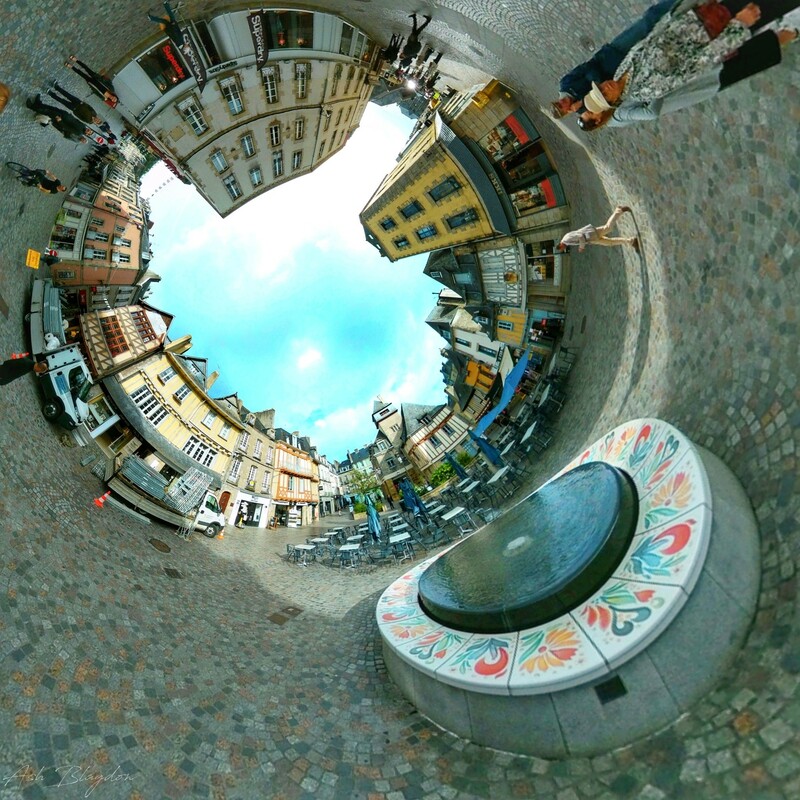 The town’s best known product is Quimper faience, tin-glazed pottery. It has been made here since 1690. Quimper is the administrative capital of the Finistère department. 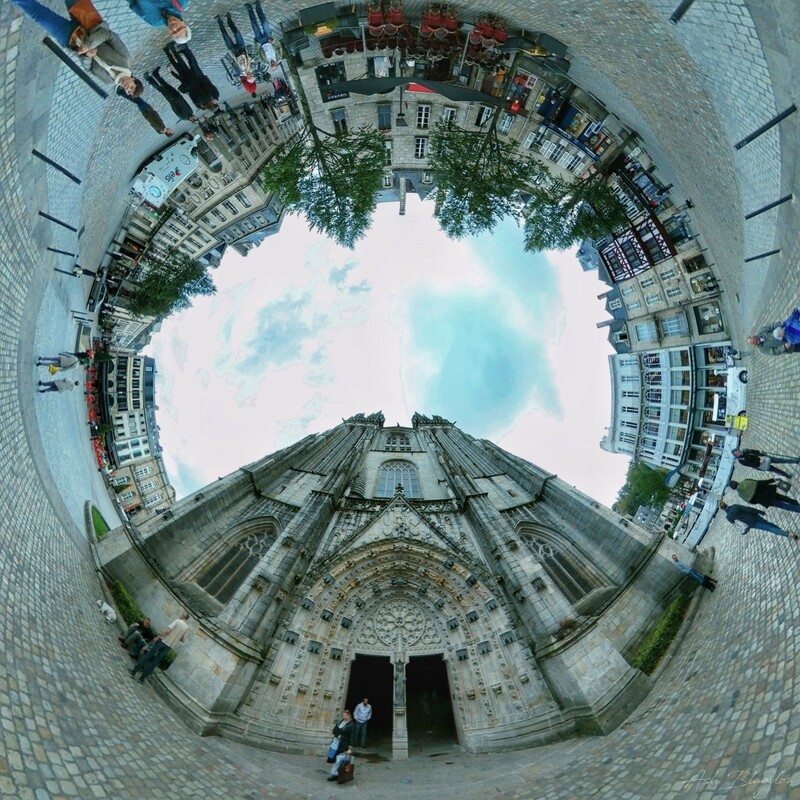 Cathédrale de St Corentin is the largest cathedral in Brittany. Locmaria was historically the region of the town where pottery was produced and is the oldest part of the town. 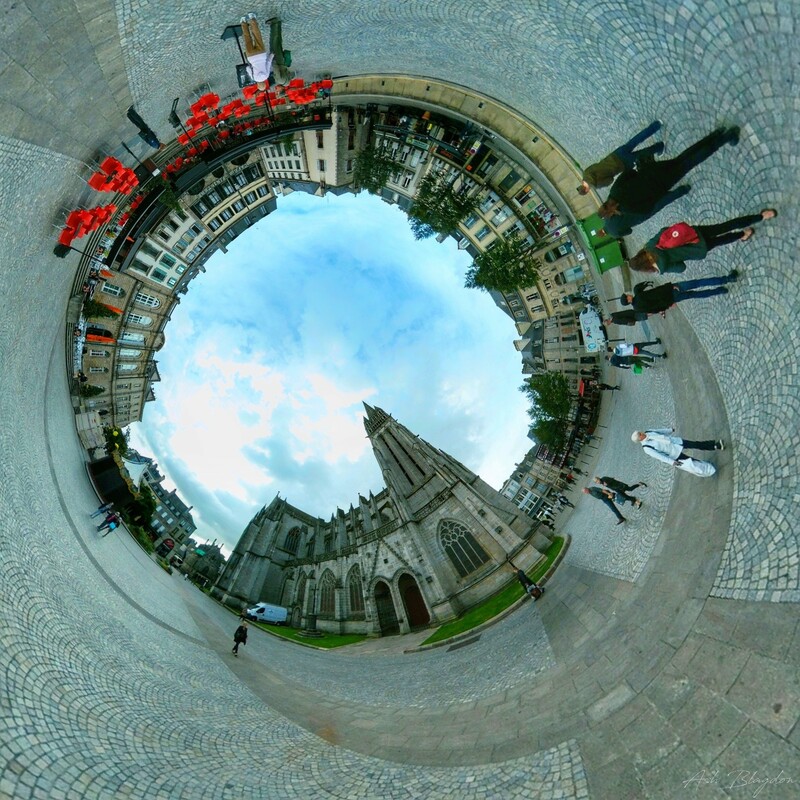 Quimper is twinned with Falkirk, Scotland, United Kingdom. 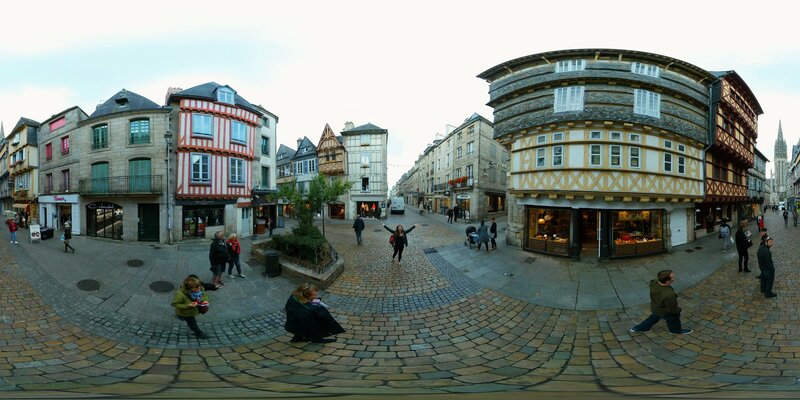 Unfortunately, Quimper has a shortage of inexpensive accommodation and none in the old town. There are many solid-value chain hotels, but nothing with any real character. It’s all pretty much on the level so you can cover most of it on foot or hire a bike. Bike, The tourist office sells route maps (€5) and can recommend bicycle hire outfits. Bus, QUB network consists of 7 urban bus routes, and 16 suburban bus routes. Train, TGV high-speed train line from Paris. Walking, very easy to get around the downtown area by foot. The Church of Locmaria, a Romanesque structure, dates from the eleventh century. Vieux Quimper, Old Quimper (mediaeval fortifications and houses dating from the 14th century). Musée des Beaux Arts, (collection of paintings from renowned Breton artists and the Pont Aven School). Musée de la Faïence (pottery museum collection dating from late-17th century). Mont Frugy (Hike to the top of the hill where you can look down on Quimper’s medieval quarter). Covered market Halles St-François in the old town. 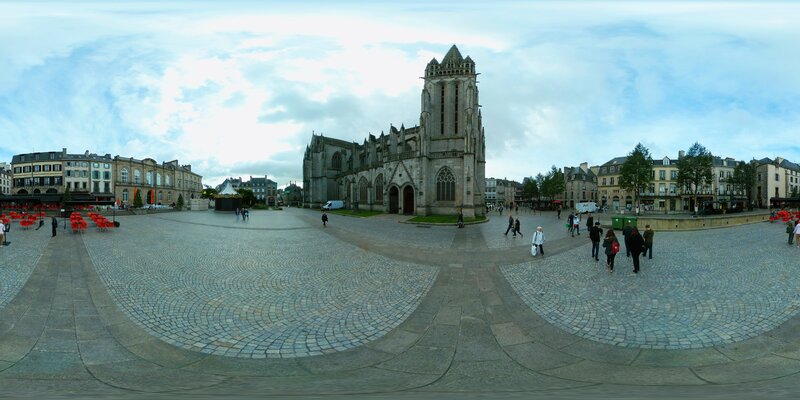 Le Finistére (Beside the Cathedral, had a good omelette here). Open-air markets are Wednesday and Saturday and surround the covered market. 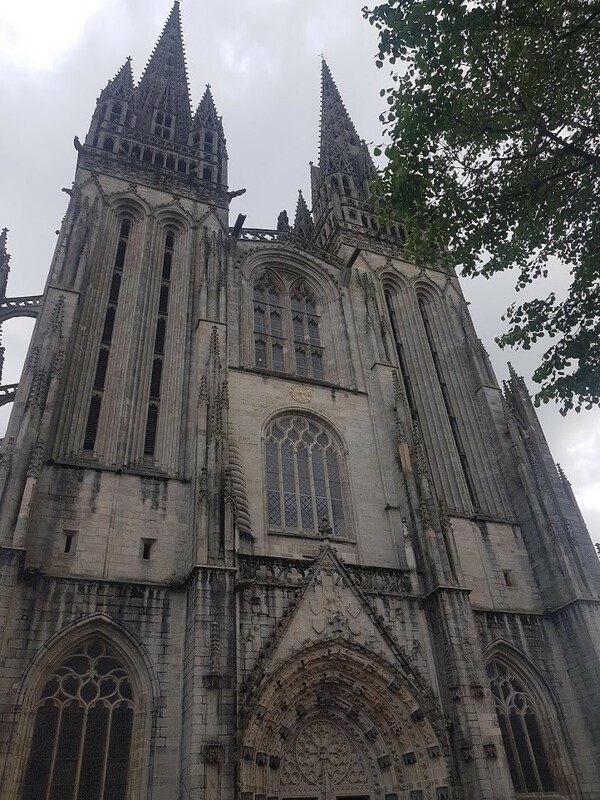 Purchase the Pass Quimper for €12 and choose 4 attractions out of the 6 available on the scheme (including the museums) to visit. 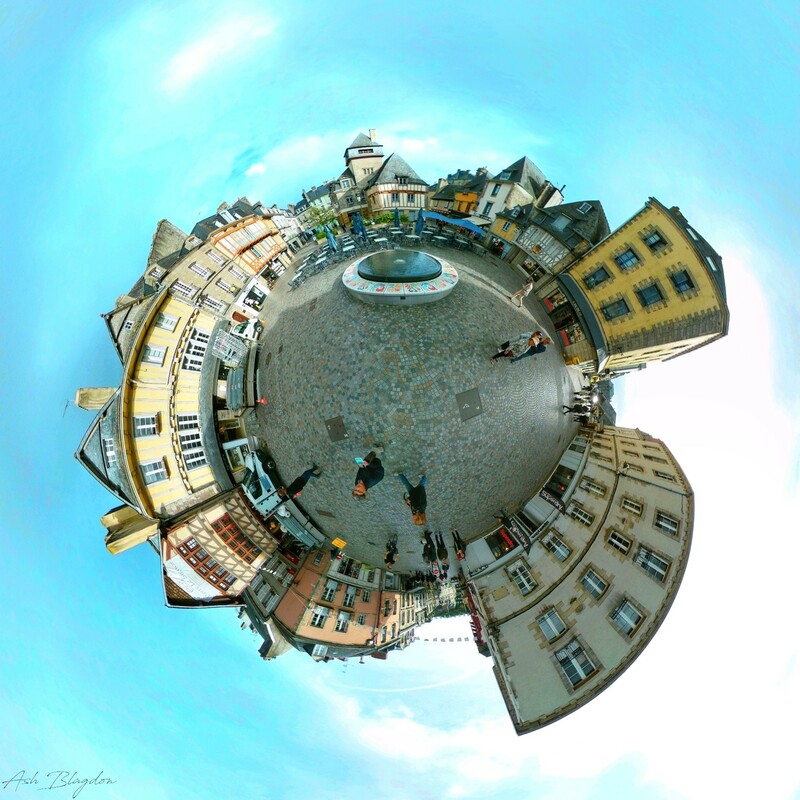 Regular market(s) are held in Quimper each Wednesday, Saturday & Sunday all day. (usually held in the morning). 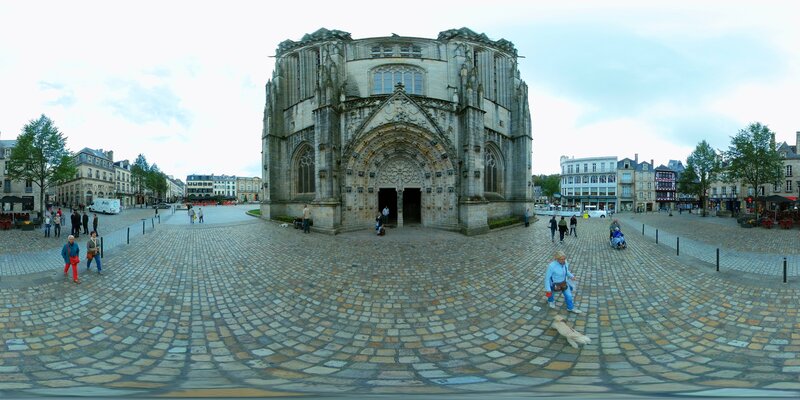 Have you been to Quimper? What was your favourite thing to do or place to visit?